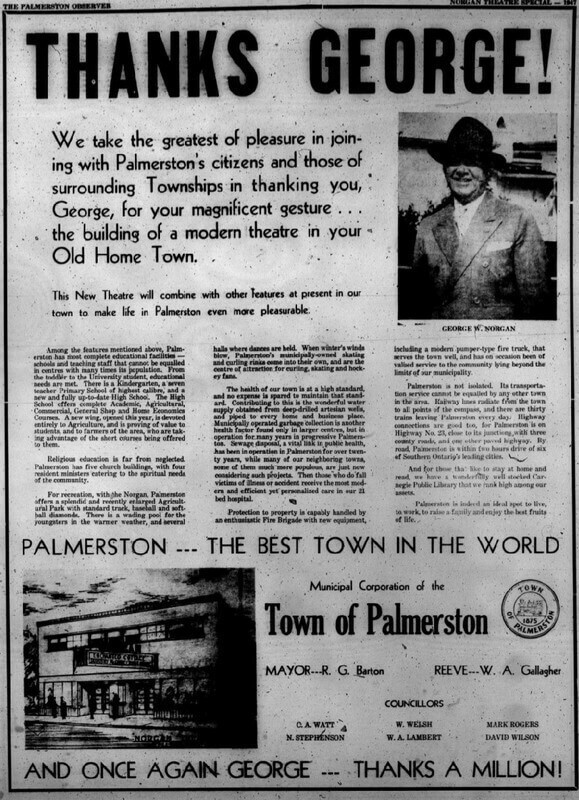 In 1947, George Norgan (Nahrgang), a successful Vancouver businessman with roots in Palmerston, recognized the lack of leisure opportunities in his home town. He addressed this situation with a personal donation of $50,000 for the construction of a movie theatre, the Norgan Theatre which bears his name. The theatre opened August 18, 1947, with 5,000 people attending various events. For nearly seven decades, the Norgan has served its community, bringing Al Jolson, Ginger Rogers, Elvis, Star Wars, and countless other attractions to area film fans. The Norgan Theatre continues an almost 70-year tradition of providing entertainment to the movie lovers of the Minto community and area. Major renovations to the Norgan Theatre were completed in the fall of 2007, and its first film, Shrek 3, was shown on November 2, 2007. One month later, on Sunday, December 2, 2007, the theatre re-opening was celebrated with an afternoon ceremony and community open house. That evening, more than 150 patrons enjoyed Fred Claus at the original 1947 admission prices: Child 5¢, Adult 25¢. 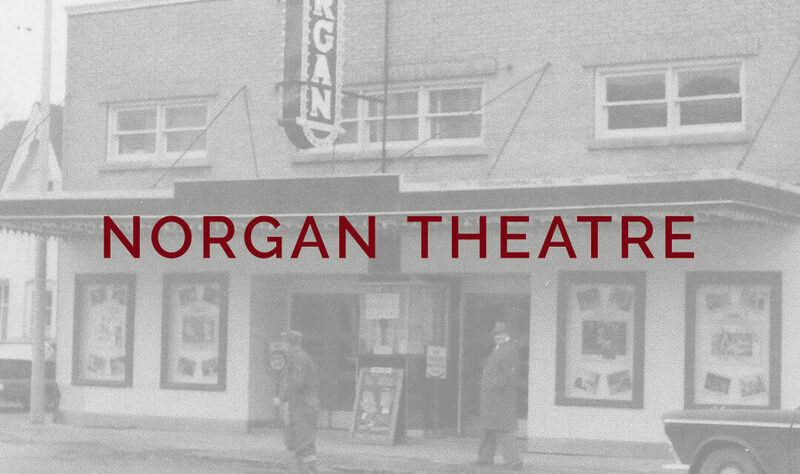 On more than one occasion, municipal politicians and residents have confirmed the importance of the Norgan Theatre to the community and rallied to its support. 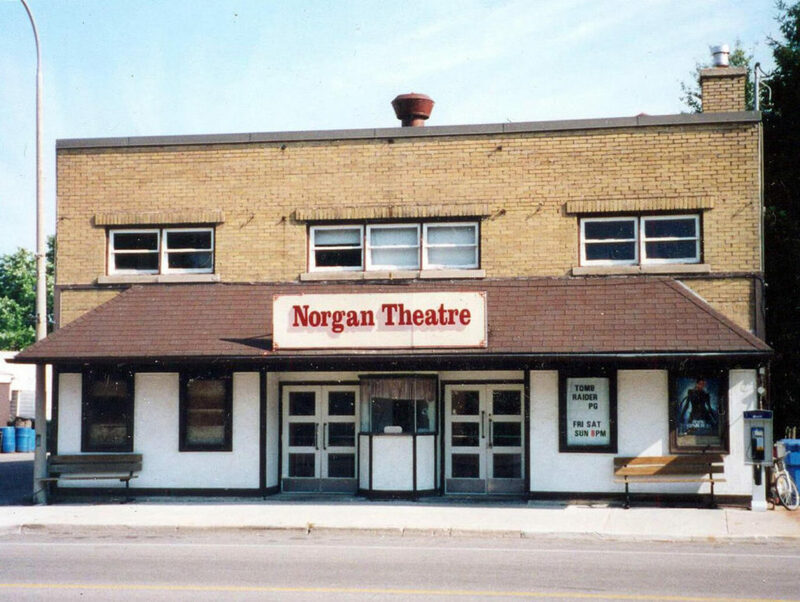 The Norgan is now one of the few remaining municipally owned theatres in Ontario. In addition to a restoration grant, the Town of Minto also funded a loan in excess of $170,000 to be repaid within 10 years through theatre revenue and individual and corporate donations. Donations, which are tax-deductible, may be made at any time; public recognition will be in accord with donor wishes. Community volunteers have played a crucial role in the restoration of the theatre. Initially, they served on the Ad Hoc Norgan Committee, participated in fundraising events and supplied work crews for the actual reconstruction. Volunteers now continue to be essential to the daily operation of the Norgan, selecting and scheduling films and serving as ticket sellers, confection booth staff, matinee monitors, housekeeping staff and projectionists. The Board of Directors of the Norgan Theatre oversee its overall operation and act as liaison with the Town of Minto. 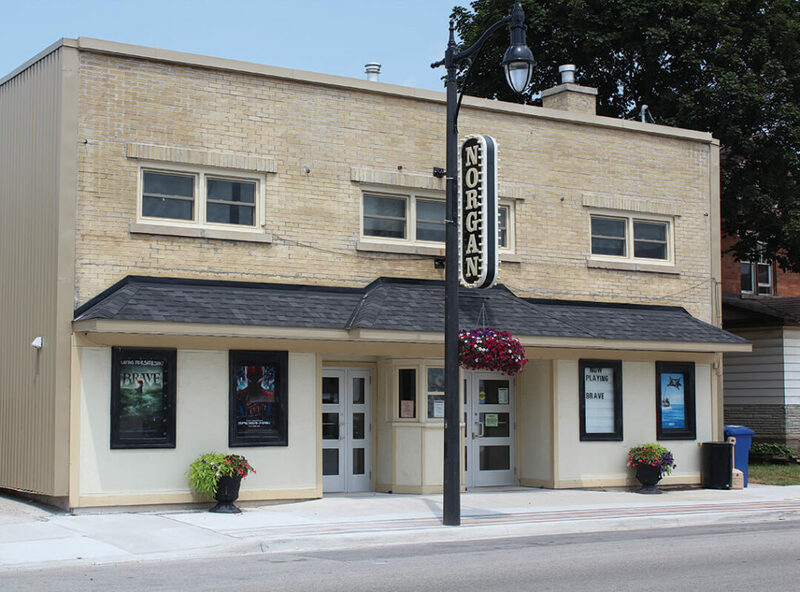 The Norgan Theatre is located at 275 Main St. W., Palmerston, ON, N0G 2P0.